Judy has spent her life working in the areas of education, marketing and sales, personal growth, and transformative project management. Her career encompasses the fields of elementary education, retail and franchise management, and nonprofit administration. Judy has played strategic roles in Hawken Country Day School, as Head of Preschool Program; the est Foundation, as Administrative Manager; Supercuts Corporation, as franchisee and marketing consultant; the Beyond War Foundation, establishing and expanding their San Francisco region; Primo’s Coffee Inc., as owner of 11 coffee retail locations; Kimmel and Company, as consultant to a variety of business and private clients. She continues coaching in the private and public sectors and serving on a number of different nonprofit Boards. Judy is dedicated to activism and transformed relationships with family, community, and business. 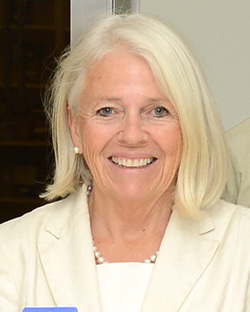 Terry actively joined The Peace Alliance in 2005 as District Team Lead, and then Southern California State Coordinator, becoming a member of the Board in 2009. Her passion for peace stems from a desire commonly felt by many — to leave a better world for future generations. Growing up in activism, her parents were focused towards environmental and historical preservation goals, in addition to the arts. Terry views her activism for peace as all-encompassing, honoring those foundational areas and more, finding a place for that fundamental desire that is practical, concrete and productive. Having enjoyed a few different careers, beginning as a performer touring with ANNIE, 42nd STREET and CATS, then co-owning a boutique relocation consulting firm in Chicago, she now works as a Program Manager and Agile Coach at Accenture in Technology Consulting. Working with her wonderful and creative husband, Paul Chepikian, Lupine Productions provides video production services for corporate, personal and entertainment purposes. Terry and Paul live in Encino, CA with their dog, Jenny. Marianne is a native of Houston, Texas. In 1989, she founded Project Angel Food, a meals-on-wheels program that serves homebound people with AIDS in the Los Angeles area. To date, Project Angel Food has served over 10 million meals. She serves on the Board of Directors of the RESULTS organization, working to end the worst ravages of hunger and poverty throughout the world. She founded Sister Giant in 2010, which explores the intersection of spirituality and politics, creating politics of conscience. Sister Giant is dedicated to forging a deeper conversation about what is happening in America today – and what we can do to change it. 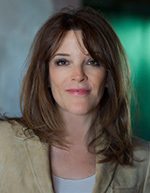 Marianne is a co-founder of The Peace Alliance and founded and launched the campaign to establish a U.S. Department of Peace. Emily has been serving on the Board of Directors since 2010. She has been “officially” active in the peacebuilding world when she stepped into the role of Office Manager of the California Headquarters for the Dennis Kucinich for President 2004 campaign. Emily grew up in a family that has worked in the peace building community for at least 3 generations and feels it is in her nature to live and work for greater peace, individually and collectively. 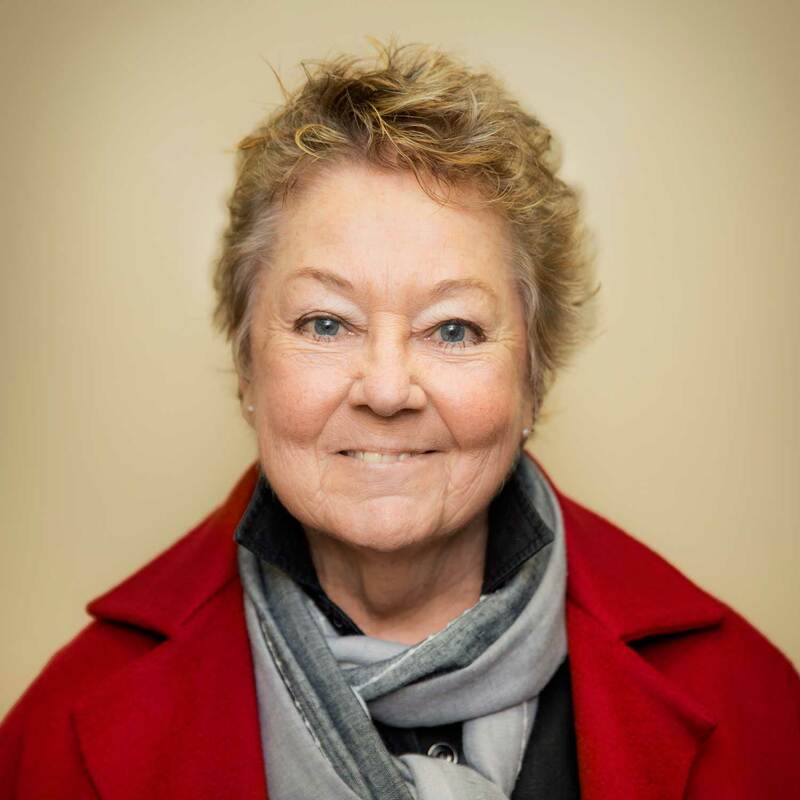 Lynn is an experienced executive, leader, educator and consultant who has worked in management, training, education and organizational development for 35 years. Her experience includes positions as Chief Executive Officer for Marilyn Burns Education Associates, an educational consulting and training firm; Manager of Franchise Development and Director of Compliance for ComputerLand Corporation; and Vice President and Chief Operating Officer of McCullough & Company/Orbit Computers, Inc. Since 1985, she has been President of her own firm, The Lannon Group. She has facilitated large-scale systems and culture change initiatives organizations in Hong Kong, Singapore, Indonesia, Australia, England and Japan. Lynn is adjunct business faculty for Keuka College International Programs in Vietnam and China. She’s traveled extensively in China, Viet Nam, Thailand, Laos, Cambodia, Brazil and throughout Europe. Her second language is Portuguese. She holds a B.S. degree from Keuka College and a MEd from Cambridge College, Institute of Open Education. Lynn served as the vice chair of the board of directors of Raphael House, a San Francisco shelter for homeless families. 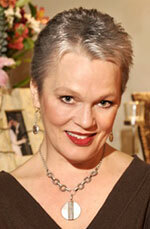 She was a founding board member of The Professional and Businesswomen’s Conference in San Francisco. She is Trustee Emerita at Keuka College and Director Emerita at Raphael House. Pete Addicott, retired President of Inter-Connect, a Human Relations Consulting group, provides networking avenues to groups and individuals. Most recently, he led a workshop on Mission, Goals and Leadership with the Board of an Alzheimer’s Facility. He humanitarian efforts led to connections for the delivery, set up and distribution of water desalinization units during the Haiti crisis. Mr. Addicott has spent 25 years with Federal Express in management positions in Training and Development. He established the Management Training and Career Development programs for FedEx, wrote the initial Team Building manuals for staff development for the company, headed integrated training for Flying Tigers and managed Training for the Southeast area of the United States, Latin and South America. As a Special Projects Executive for FedEx, he managed the Steering Committee on the local United Way Board, supported FedEx’s efforts with the Memphis PGA tour and reviewed integration training material for the Kinko’s/FedEx merger. In the last six years, he has served on the Community Foundation Board, United Way of Memphis agency review and Regional Special Olympics Track and Field, and the University of Maine Farmington board. His volunteer interests are in Intergenerational Communication through Storytelling, Organizing and Conducting Storytelling Festivals in Maine and Tennessee, Financial Stabilization Systems through Community Building, church activities, singing with a semi professional coral, a little golf (very little) and spending time with his grandchildren. He holds an M. Ed. from Springfield College in Springfield, MA. He has a B.A. in psychology from Sonoma State University in California, focusing on Ecopsychology. He also has an M.A. in Humanities and Leadership with a focus on Culture, Ecology and Sustainable Community from New College of California. Heart has been the Chair of the Peace Alliance Educational Institute. She is currently the President of the Board of Directors of the River Phoenix Center for Peacebuilding, a non-profit whose mission is to provide and promote the best practices and principles of peacebuilding and global sustainability. This organization is guided by the life, inspiration and activism of her son, River. Heart co-founded and served as President of The Peace Alliance from its founding until 2008. As a mother, grandmother and vegan for almost 35 years, her commitment to nonviolence to earth and all sentient beings has been the center point of her life and activism. She is an international facilitator of workshops focusing on communication skill building, gender healing, youth empowerment, personal growth, breathwork and deep ecology. 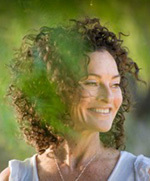 Sylvia Boorstein, Ph.D, LCSW, is a co-founding teacher of Spirit Rock meditation Center in Woodacre, CA, and teaches there regularly. She is also a psychotherapist. She credits her lifelong commitment to social advocacy as being a legacy from her mother whose own dedication to equality for all members of society made her and informed voice for democratic principles and an ardent political campaigner. Sylvia is the author of five books on mindfulness meditation and Buddhism the most recent of which is Happiness Is An Inside Job: Practicing for a Joyful Life. 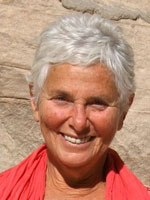 In addition to teaching Buddhist principles to psychotherapists, Sylvia is widely known to be active in translating the theory and practice of mindfulness into other disciplines. She has often been a guest speaker at university Psychology departments nationally and was Scholar-in-Residence at the Smith College School of Social Work. Sylvia has four adult children and seven nearly all adult grandchildren. Ambassador Anwarul K. Chowdhury, until recently the Senior Special Advisor to the UN General Assembly President, has devoted many years as an inspirational champion for sustainable peace and development and ardently advancing the cause of the global movement for the culture of peace that has energized civil society all over the world. As a career diplomat, Permanent Representative to United Nations, President of the UN Security Council, President of UNICEF Board, UN Under-Secretary-General, and recipient of the U Thant Peace Award, UNESCO Gandhi Gold Medal for Culture of Peace, Spirit of the UN Award and University of Massachusetts Boston Chancellor’s Medal for Global Leadership for Peace, Ambassador Chowdhury has a wealth of experience in the critical issues of our time – peace, sustainable development, and human rights. Ambassador Chowdhury’s legacy and leadership in advancing the best interest of the global community are boldly imprinted in his pioneering initiatives at the United Nations General Assembly in 1999 for adoption of the landmark Declaration and Programme of Action on a Culture of Peace and in 1998 for the proclamation of the “International Decade for Culture of Peace and Nonviolence for the Children of the World (2001-2010)”. Steve Killelea is an accomplished entrepreneur in high technology and international business development and at the forefront of philanthropic activities focused on peace and sustainable development. With over 30 years experience in the information technology industry, Steve is highly skilled in international marketing, business and product strategy, and has developed two highly profitable global companies with exceptional track records. Over the last two decades he has applied these skills to his global philanthropic activities. First establishing The Charitable Foundation and then the Institute for Economics and Peace and the Global Peace Index. Steve has always had a strong passion for sustainable development, and in 2000 established The Charitable Foundation (TCF), which specialises in working with the poorest communities of the world. TCF is one of the largest private overseas aid organizations in Australia. It aims to provide life-changing interventions reaching as many people as possible with special emphasis on targeting the poorest of the poor. TCF is active in East and Central Africa and parts of Asia. 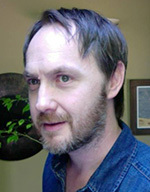 James also is the author of Cultivating Peace: Becoming a 21st Century Peace Ambassador (2012) and Creative Stress (2010). He is lead faculty for the Peace Ambassador Training, a global certification telecourse with participants from 30 countries. James has shared his skill and wisdom with thousands of global peacebuilders as well as advised heads of state and worked with hundreds of dedicated professionals in the field of peacebuilding on a local and global level.